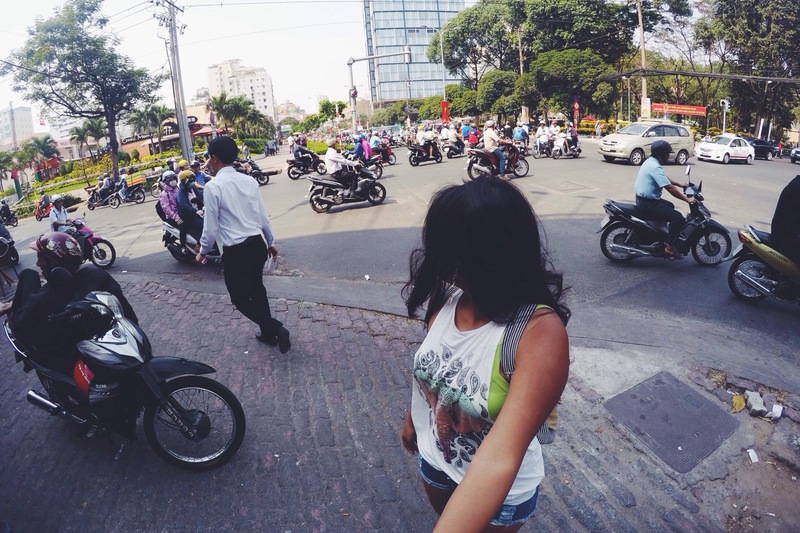 Here’s an obvious truth– traveling does cost money. But the good news is, it doesn’t have to cost you a fortune. You’ve heard it before and you’ve read about it many times– traveling on a tight budget is feasible, as long as you do your research right and you handle your expenses smartly. Southeast Asia is a wise choice for budget travel. 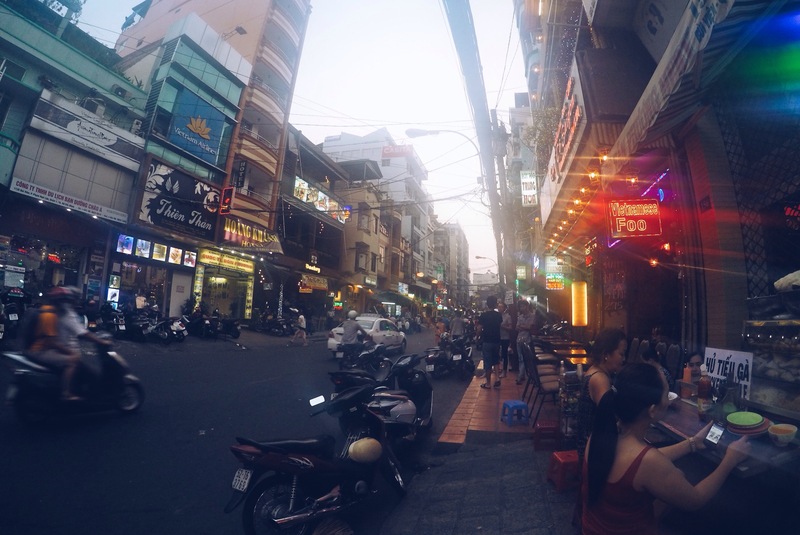 (READ: The ABC’s Of Backpacking South East Asia) It’s one of the three cheapest region in the world for backpacking (the other two being South America and Eastern Europe), and it is indeed a place of otherworldly sights, delicious (cheap) food, and wonderful culture to immerse yourself in. So whether you’ve saved up years of blood and sweat for this trip, or whether you’re going last minute on a college student budget, there is a very affordable way to do this. Keep reading to see how I pulled off spending under $1000 for a month. One girl, one month, and a college student budget. To pull this off, I’ve had a few advantages already. One, I already am based in this region, Philippines to be exact. Two, I also have a Filipino passport, which means I can get in and out of the countries in Southeast Asia visa free, saving me a lot of money already. Three, I have an expat friend and family living in Bangkok and Nha Trang, which saved me money for accommodations for a few days. And four, I have a loving family and Christmas was coming up— that means I was able to get some help with my travel fund. Remember, I’m based in the Philippines so my airfare will be a lot cheaper. My route started in Bangkok, which is basically your gateway to Southeast Asia. If SEAsia had a capital, it would be Bangkok. My ticket from Manila to Bangkok was a Christmas present from my mother-in-law. Since she was planning on going to Bangkok in January, she wanted me and my husband to join. I saved $70 from that. I would have saved more if I decided to fly out of Thailand too, but I opted to just purchase my own ticket back on my own. This was actually what urged me to finally do it. I have visualized backpacking for a very long time, but somehow, I always find a way to back out– I get scared, I spend my money on something else, or whatever excuse I choose to give myself. (READ: 5 Lies And Excuses For Not Traveling– Debunked) Finally implementing it came as a spontaneous decision. I thought, okay, I was already going to be in Bangkok, and if I don’t do this now, then when will I ever? If I found ways to back out before, I’d find ways to do it again. So that’s when it hit me– I’m backpacking solo and I’m doing it now! If you’re living on the other side of the world, chances are, this is going to be your biggest expense and although there are ways to tweak this, your budget probably won’t fall under $1000 for the month. Deleting your cookies, booking on a Tuesday, and signing up for notifications are a few popular ways to hack the system. If you have loyalty reward points, take advantage of that. And here’s an insider tip: Follow “Secret Flying” on Facebook for great deals. They post amazing flight deal finds and error fare tickets! Just now, I saw a return ticket from LA to New Zealand for $400. The total I spent on my accommodations for a whole month is $160. 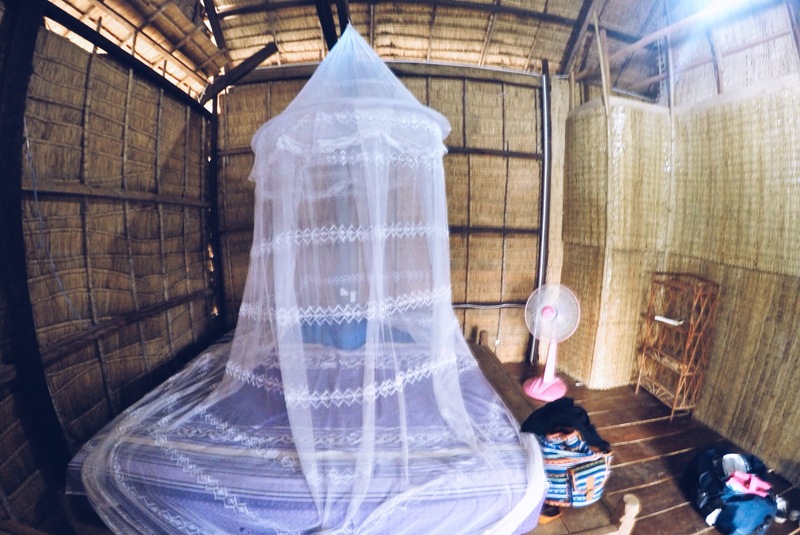 The most expensive nights of which was with a private hut by the river in Kampot, which was $12 a night. Other than that, I stayed in dormitory rooms in hostels ranging from $5-7 a night. On one occasion, I got upgraded to a private room of my own for four days in Hoi An. But here’s what really made the difference: for one week in Thailand, I stayed with my husband’s aunt and uncles who are expats in Bangkok. And for another couple of days in Vietnam, I stayed with a friend who’s an expat in Nha Trang. It helps to have friends and family in the city you’re traveling to. But if you don’t, you can still save a lot by other means. Couchsurfing, for instance. I would have done this myself, but this was my first time backpacking solo and I just didn’t feel ready to sleep at a stranger’s house for free yet. It’s something I will definitely consider next time. Another way long term travelers afford their accommodations is by giving their services in return, meaning, they work for a free bed. But if you’re only backpacking for a month, then this doesn’t seem like the best option for you. I didn’t. I’ve had a few mishaps with this which kind of set me back at least $200. 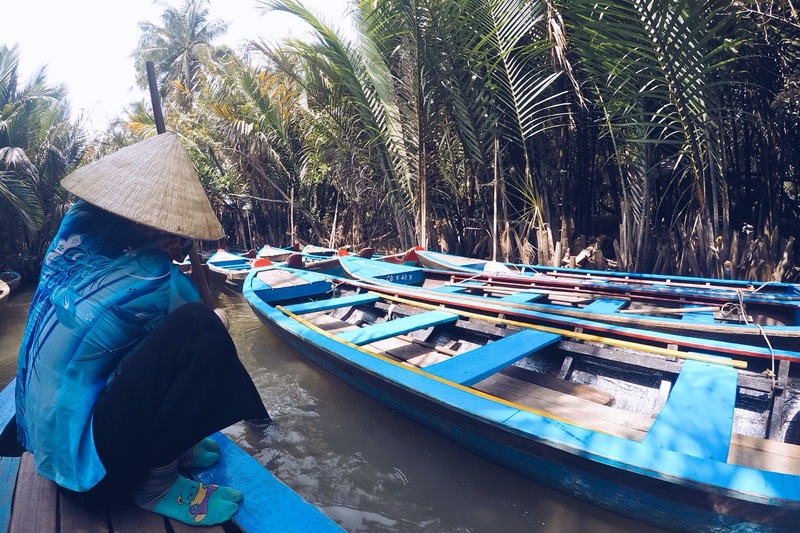 Since I didn’t have enough time for overland travel to Hoi An, my husband bought me my return ticket from Saigon to Hoi An and back as a part of my christmas present, while I purchased my flight back from Saigon to Manila. Nha Trang really wasn’t a part of the plan. But came January, and one of my best friend from San Diego decided to go to Vietnam to visit our friend for the Vietnamese new year, except, the dates are a little off. To make the story short, I had to rearrange my final plans and ended up paying $60 to rebook my flight back to Manila, forfeit my ticket from Hoi An to Saigon, and purchase a train ticket from Danang to Nha Trang. $200 is a lot of money that I could have avoided spending, but sometimes, there are things that are worth going out of your way for. As for my other overland travel, I paid between $7 to $40 depending where I was going. Bus tickets are cheap ranging from $7-15. I spent the most on my train ticket which was $40 from Da Nang to Nha Trang. It was during Tet week also which is a really busy high peak season all over Vietnam. Many backpackers, especially long term travelers, prefer keeping their schedules open. For me, it was more convenient to book my flight back to Manila in advance because it was cheaper (without considering my mishap of course), but not doing so would have definitely made my schedule more flexible. There are pros and cons to consider though. For instance, some countries, like Thailand, requires to see a proof that you’re leaving their country before your visa expires so they ask to see a copy of your return ticket. I didn’t have a ticket flying out of Thailand so I showed them my ticket flying out of Saigon instead. I’ve heard stories that there are airlines that use this as a scheme to get you to book with them too, where they don’t let you board unless you have a return ticket. I personally haven’t experienced that, but it’s something to consider. It’s southeast asia. Food is CHEAP. It’s no secret that the best food here are found in the streets too, so I took advantage of that. I avoided sit down restaurants except on some occasions when I was with family in Thailand, or when I was with my friends in Nha Trang. Those two events actually saved me a lot of money too because out of their kindness, I’ve been treated to a lot of free lunch and dinner. Because of that, I wasn’t necessarily eating like a peasant because I was able to splurge a few times too. Seriously, street food is where it’s at. I wouldn’t even recommend anything else. Once you’re finally on your trip, there are a variety of ways to cut down on your daily expenses. I walked a lot instead of taking cabs or tuk-tuks. If the city has a public train system like Bangkok, I took advantage of it. I haggled like a beast (or I’d like to think I did), and I tried to spend my money as wisely as I could. My biggest setback in this case, however, was the unnecessary shopping I did in Thailand. Technically speaking, I’m sure others are worse, but I could have done better. Just like I did– spend your money wisely. Stick to a daily budget and prioritize your activities. Figure out with complete knowledge which one is a must to you, which one you don’t mind missing out, and which one you don’t mind doing if you have extra money. Would you rather go on that UNESCO site or a booze cruise? A good dinner or a nice spa day? Either way, that’s the beauty of travel– you can do whatever you please. Have you been or are you planning on backpacking SEAsia? Do you have any tips you want to share? If you like this article, feel free to share it to your friends. Follow me on Facebook too (click here) so we can connect and I can keep you updated. I’m also on Twitter (click here) and Instagram (click here) so give me a follow! This is super helpful info! My sister does a lot of backpacking, so I will share this with her. Great!! Hope she finds it helpful. I have always wanted to go to Asia. It is for sure on my list of destinations. What helpful info! 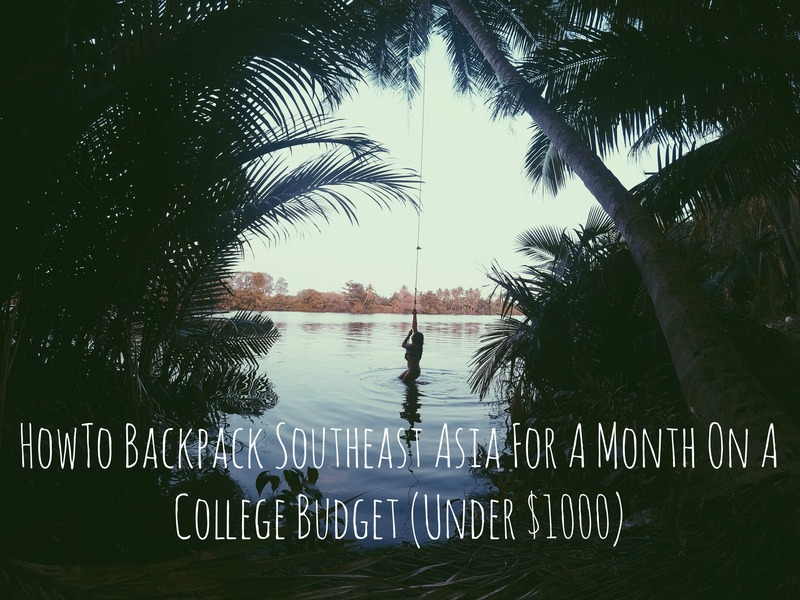 I would love to backpack, and Southeast Asia would be great. I doubt it will ever happen for me, just in case! I have always wondered what it looks like in Asia so maybe one day i can go there. There’s always couchsurfing if you’re open to the idea. I always wanted to go south Asia and you have shared some wonderful tips through this post!! Great article! I always love reading trip expense breakdown posts. It totally goes to show that travel doesn’t have to be expensive! It really doesn’t. A little research and some compromise and you saved yourself some $$$. Very cool. I have never been to Asia but I want to go soon! Although I have not and probably never will backpack (I am also born and raised in the Philippines but am now 67!) this was an interesting read. I am also frugal. So this is how I could have traveled early on and did not have to wait for my retirement to do it! 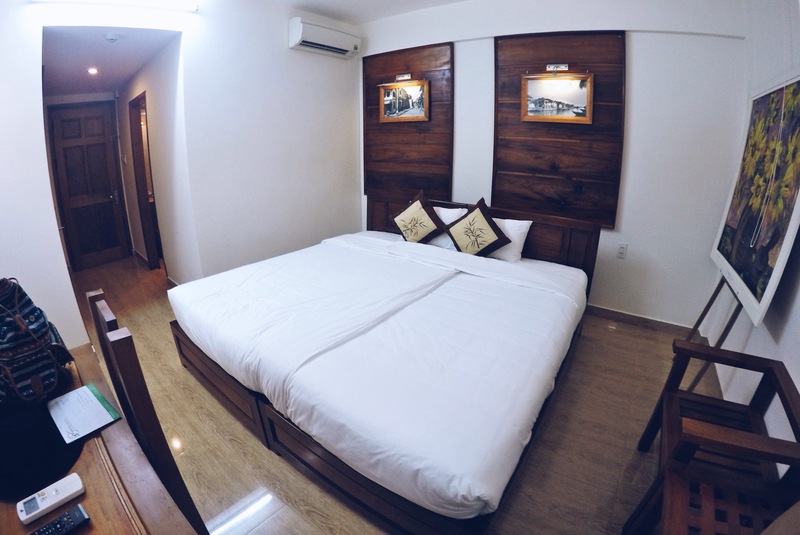 The best way to save money when you are backpacking is lowering you standard for room. I lived in 16 doorms in Thailand it cost me 5 USD, that makes a difference every day. Some wonderful pictures sharing your wonderful experience along with some great tips so save more on a trip where we get to visit different destinations. I would love a Southeast Asia trip for sure, but not sure if I could still make it under your budget. I’m not sure if I still have the strength to backpack but I would love to try it! These pointers are really helpful, thank you! Well I totally agree that it can be done for a lot less than people think but your advantages definitely make it a lot more doable. Most people have to spend close to $1000 just to get to the region. Great list of tips though. These types of posts are so important so others can see just how it can be done! Nice tips but for us that are living far from Phillipine we can only learn from the saving tips. 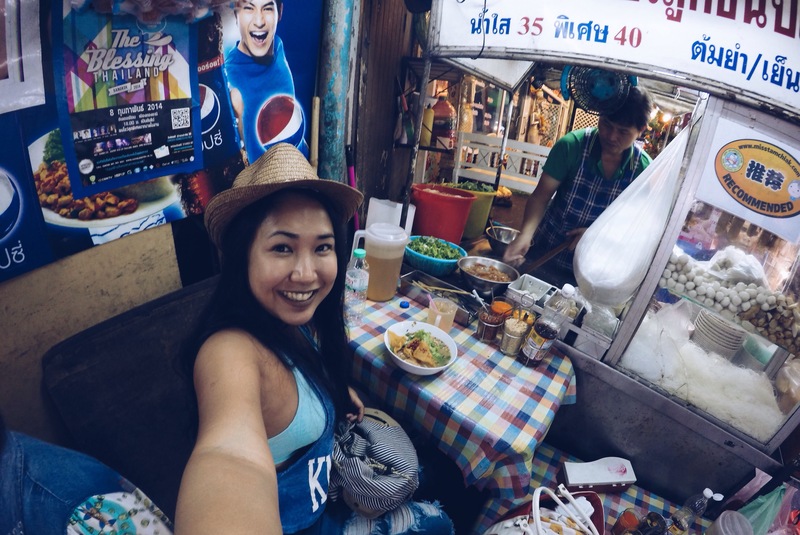 I would not think that traveling to SE Asia on a budget is difficult for anybody. It just is so so cheap, compared to the rest of the world. I was in Indonesia for 3 weeks and even when I knew I was being ripped off (at times it was too hot to continue haggling!) I still found it cheap. A region I want to go back to, for sure! Hoping to spend some time travelling in SE Asia next year so this is perfect! I am in SE Asia right now and am enjoying the bargains! Beautiful pictures, I’m heading over next year so will bear these tips in mind! Thanks for the tips, I can use some of if when I travel also. There are lots of things we can actually save like taxi fare and eating at expensive restaurant when we travel. I am not sure I can do the backpacking style of travel yet. I am already using AirBnB to save on accommodations, but I am wary about eating only street food and having not enough supplies in my bag. That takes more experience I guess. 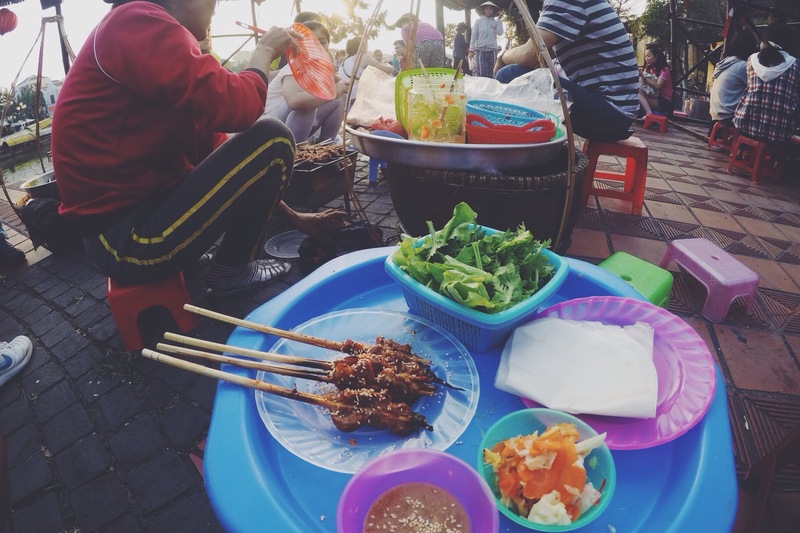 We’ve been in SE Asia for the past month and loving how affordable everything is! Currently staying in a bungalow by the beach (w/ AC and daily cleaning service) for $23 USD/night. Meals are barely $5 USD for two of us. This is definitely the place to come to make your dollar stretch, but it’s going to be hard leaving, that’s for sure! It is a very cold experience. Thanks for sharing. Always wanted to backpack travel. I think you can really save a lot by booking early especially if you have identified your entry and exit points. I usually accrue a lot of mileage on my card so I get a lot of perks from my frequent flyer program. I guess it helps to go for simpler accommodation and transportation. Nice tips on the travelling. I like how you don’t decorate you articles with impossible aims and dreams. Getting your friends and family to get you tickets as presents is definitely a good idea. Thanks for your tips! I like travelling on budget. I always use to sleep in a tent in some campings and I have to say, that no hotel can compare to sleeping in a garden-like camping! Looking for promo fare and booking early would be best if you wanted your travel budget be on the minimal. I can totally understand the unnecessary spending on shopping. I mean it’s not possible not to shop in an Asian country right? I know SE Asia is cheap, but $160 for a month’s worth of accommodation, now that’s impressive! These are some great tips for backpacking in SEA! It’s true that travel in this region doesn’t have to be expensive. My husband and I backpacked for 6 months last year through Cambodia, Thailand, Myanmar, Malaysia and India, and spent an average of $1300/month for both of us! It wasn’t always glamorous, but we made it happen and had an incredible time! Would definitely recommend Couchsurfing to meet local people and save on accommodation! Great tips, girl! Being a Filipina like you, I know how much of a struggle it is to budget. Nevertheless, you did great! This is a really helpful post for anyone looking to backpack around. Some great tips here. Like you said though, really it’s all down to personal preference and sometimes it’s worth paying a little bit more for something you really want to do. The trick is to prioritise what is important to you. SE Asia is a budget destination, for sure. I know taking overland transportation between cities and countries is cheapest, but don’t overlook how cheap an Air Asia flight can be. I couldn’t believe how cheap some of my flights were and how much time I saved by not spending whole days on buses and trains. How many useful tips to save money!! This post is fab!!! Great job! !